Flaxy Martin is directed by Richard L. Bare, not exactly a well known director. He looks to mostly have done educational short films and graduated to television with only a couple of feature films along the way. This story comes from David Lang who mostly wrote screenplays for television westerns. This is not exactly a dream team for film noir. That being said, this is a pretty damn good little film noir! Flaxy Martin is maybe one of the best overlooked femme fatales I have come across. She is beautiful and is playing both sides to get herself what she wants. Virginia Mayo plays Flaxy very well, with a hint of a grin every time things work out like she planned. Hap Richie, played by Douglas Kennedy. Unbeknownst to Colby, Flaxy is secretly dating Hap too. Colby gets one of Hap’s goons off for murder when an eye witness shows up with an alibi for the goon. Colby finds out after he gets the killer off that the eye witness was paid by Hap to lie. When the eye witness is killed to keep her quiet, the evidence points towards Flaxy. Colby decides to take the rap for the murder to save his girl and feels he can defend himself and win. Colby gets double crossed when an eye witness sees Colby with the dead girl the night of the murder(another paid eye witness from Hap). Will Colby figure out he got double crossed by Flaxy? Will Flaxy double cross both of her guys and get away with some cash and a new life? Will Hap come out on top by framing both of them? As Virginia Mayo plays the ultimate blond femme fatale bombshell, Dorothy Malone plays the opposite, a brunette good girl. Colby must choose between both of these ladies in more then one way. The highlight of this film for classic noir fans is Elisha Cook Jr., who plays a pivotal role as one of Hap’s thugs. I can’t believe his name didn’t even make it on the poster, but any fan of Cook will enjoy another fun performance. 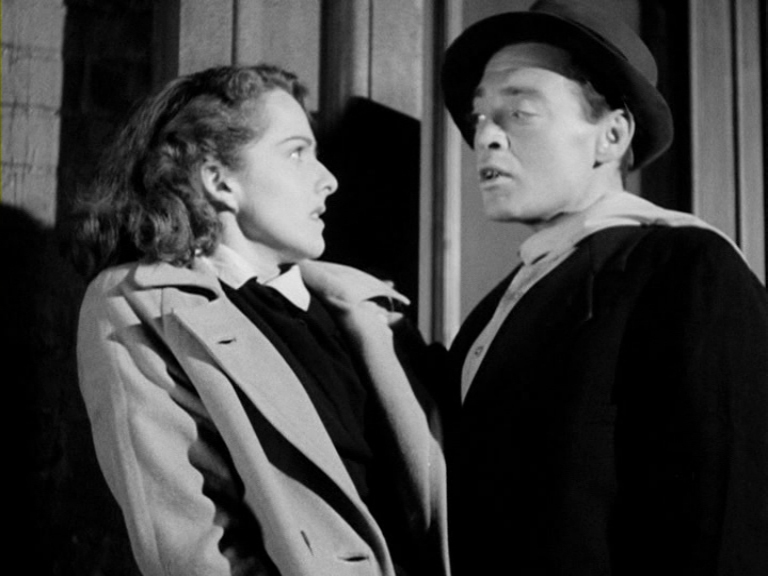 This classic film noir may not have the big names behind the camera, but the faces we see on screen make this film worth watching. This is a bit of a hidden gem, worth checking out. The story isn’t the greatest, but Mayo is great as the title character and should be discussed more often when the subject of femme fatales come up. Scott is solid as ever and Cook is always worth watching. Born to Kill is a classic film noir from 1947 directed by Robert Wise based on the book Deadlier than the Male by James Gunn. This was a staring vehicle for Lawrence Tierney who came to prominence in Dillinger a few years earlier. The public ate up Tierney as the bad boy, all the women loved and all the men wanted to be, he’s just a little more bad than most. This also stars Claire Trevor as our femme fatale. 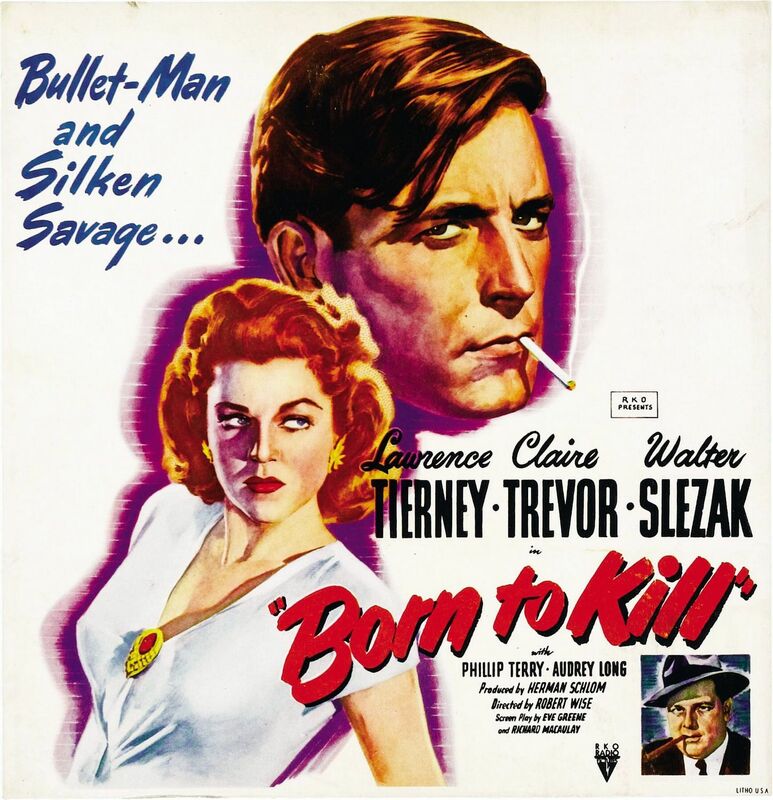 Born to Kill has almost every film noir trope you can think of, a crime of passion, loose women, murder, star-crossed lovers, unreliable characters, a private eye, black mail, friends loyal enough to kill for, crazy circumstances involving our main characters, not many truly good people and more. This film starts with Helen played by Trevor getting out of court with her divorce finally official. She has been in Reno 6 weeks to get this done and now it is her last night in town. She goes home where she meets two women drinking in her rooming house. Laury Palmer played by Isabel Jewell, who lives next door to the rooming house and Mrs. Kraft played by Esther Howard who owns the rooming house. Palmer mentions she is using one man to make another man jealous as the girl talk continues. They are drinking beer and ask Helen to join them to celebrate her divorce. She declines and goes to the casino for one last night on the town. Helen is at the craps table when she sees Sam, played by Tierney, throwing the dice. We see the instant attraction between the two. Palmer and one of her dates runs into Helen at the craps table and Sam does not look happy. Palmer and her boyfriend go back to her place and run into a furious Sam. Sam is the boyfriend Palmer is trying to make jealous and boy did she do a good job! Sam murders the two and in his getaway lets Palmer’s dog out. Helen comes along and sees the dog and brings him back to the house to find the two dead bodies. She doesn’t say anything and gets on the train to go back to San Francisco. Sam goes back to his place where his friend, played by Elisha Cook Jr., tells Sam to get on the next train to San Francisco. Soon Sam and Helen get on the train at the same time and our story gets more complex and interesting in San Francisco. We soon meet Helen’s sister played by Audrey Long and a hard-boiled private detective played by Walter Slezak for good measure. So as you can see from my brief introduction to this movie that a lot of the film relies on a crazy amount of coincidences. That aside this is a very dark film with Sam being a man who women cannot resist and Helen being a woman that will do anything to get what she wants. This film had to really push the limits of what could be in a film in 1947. 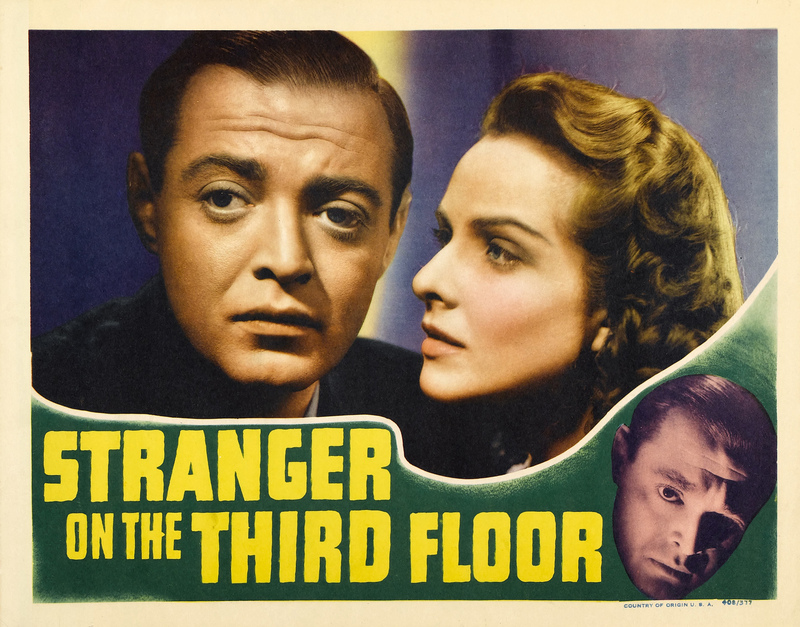 This is Robert Wise’s first film noir and he went on to make many more great ones. Strange to think of a director who could make such dark films is probably better known for his musicals later in his career. This is a very high level film noir and should be checked out by everybody who loves classic film. You could write a book on this film, but I’m going to stop writing now and let you go out and experience this film for yourself. I Wake Up Screaming is from 1941 and is based on the book by Steve Fisher, I have not read the book yet but will keep my eye out for a copy. The films two main stars are Betty Grable and Victor Mature and is Directed by H. Bruce Humberstone. This film was also released in England under the title Hot Spot. The star who I found most interesting is Carole Landis who plays Vicky. She was the classic beauty who was trying to get ahead, using her looks and charms to get a career in entertainment, no matter who she hurt. She is a classic femme fatale for this story. I didn’t know much about her so I did a little research to see why I have not seen her in anything before, at least anything I remember. Turns out after giving the entertainment business her best shot she committed suicide at the age of 29. It’s to bad, she seemed to have some talent, maybe her character from this film was a lot like the real life Landis. Our story starts with Vicki being the center of attention for a lot of men, men who easily fall in love with her. Vicky lives with her more down to earth sister played by Grable in an apartment. We find our hero played by Mature under the bright light in the integration room, but he is as cool as a cucumber. We soon find out he is being questioned for Vicky’s murder. The story is told with a number of flashbacks as we find out bits and pieces to why Vicky may have been killed. We also learn about our suspects, including Mature and 2 of his friends as the main suspects. We soon learn Vicky had more than these three men in her life. Grable soon helps Mature, who is our prime suspect as they weed through the clues. One of my favorite character actors, Elisha Cook Jr., appears as the phone board operator in the building our sisters live in. I also liked Laird Cregar who played our hardboiled tough guy cop that is out to get our hero. This film was remade a few years later in 1953 as Vicki. I have not seen this one yet and hope to watch it soon and compare it to this film. By all accounts this original film is the superior movie. This story has some great twists and turns, some good dialog, but what stood out to me is the classic film noir style of black and white filming. 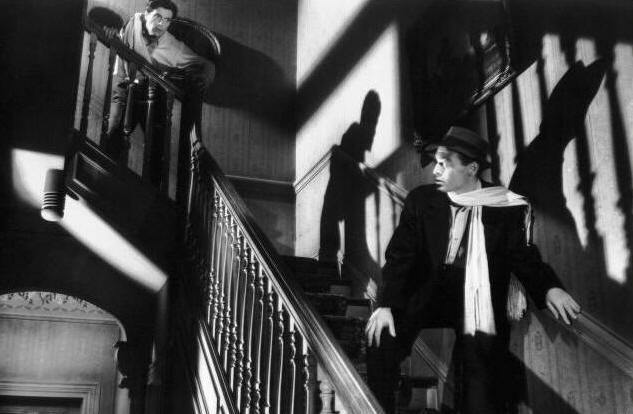 The shadow play is very interesting and visually stimulating. I enjoyed this one and think any classic film noir fan will enjoy it too. 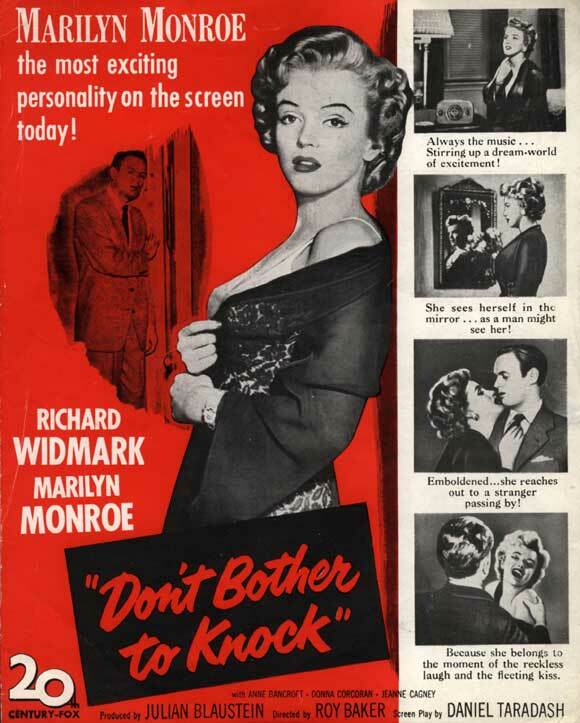 Don’t Bother to Knock is a film noir from Roy Ward Backer, his first for Hollywood and one of many great noir movies he did. The movie is based on a book by Charlotte Armstrong. This movie has superstar Marilyn Monroe as our most interesting character. 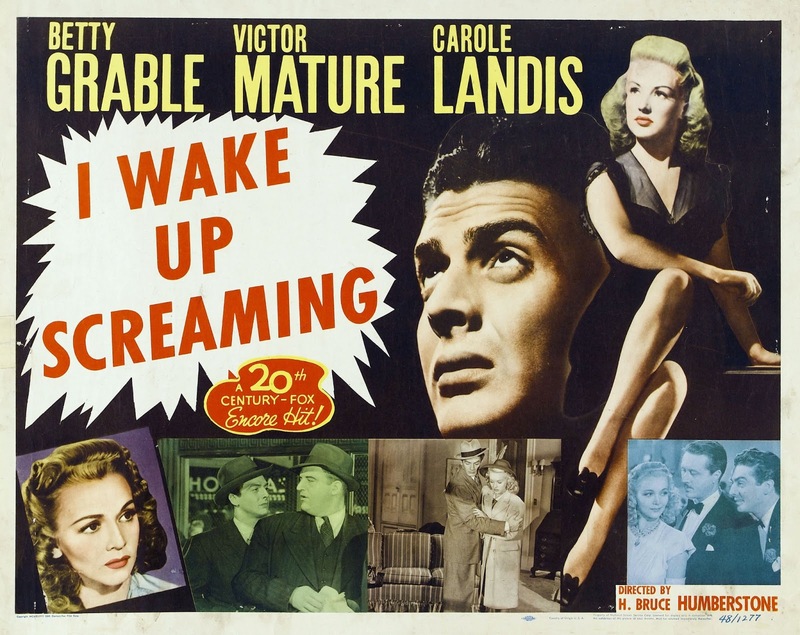 Noir great Richard Widmark plays a pilot in town on an over night stay at the hotel. We also get Anne Bancroft in her first film, as the lounge signer Widmark is in love with. Our story starts with Bancroft sitting at a bar, telling the bartender her troubles with her boyfriend and then the spotlight hits her and she starts singing. We soon meet her boyfriend, the pilot that comes to town from Chicago played by Widmark. They’re relationship is on the rocks and Widmark is trying to save it. We also meet the elevator man played by the great character actor,Elisha Cook Jr., who is taking Monroe up to the 8th floor. We find out he is her uncle and got her a job babysitting. Seems like a pretty average day in the Hotel, but things get stranger and stranger as time goes on. This film is in real-time, so the events happen in the same amount of time as the film length. This is pretty cool and done very seamlessly. The whole movie also takes place in a high-end hotel, basically the lounge, 2 rooms and the elevator contain all the scenes. This gives you a bit of claustrophobia as the suspense grows through out. Marilyn Monroe was a popular star at this point. The problem was, she was not know for her acting. Up to this point she just played her lovable self and people ate it up. This was her 18th movie and she made this movie to show she could act, and act she did! This is an amazing performance of a suicidal, mentally disturbed young women, it is not over the top, very real feeling and subtle . At the time critics loved her performance, and I got to say, I did too. 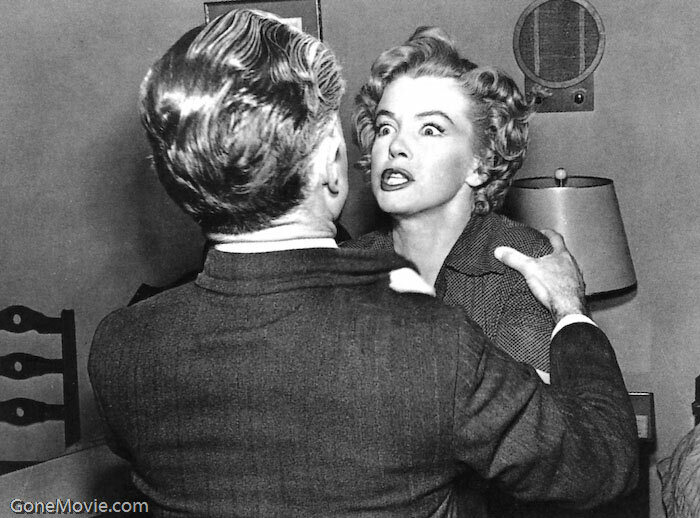 Unfortunately looking back at her life, this may have been the real Monroe and she was acting as Marilyn Monroe all the other times she was in the spot light. This is not as gritty as most film noir but it is just as dark, maybe even more so. If you are a fan of any of the 3 main stars, especially Monroe you should see this. I give it an 8 out of 10, a must see film noir.